It is the now the final week in January and that means another Polish Pickup shop opening is right around the corner! In fact, the shop will be opening this Friday with offerings inspired by many of our favorite indie brands. The inspiration for the month is "Famous Duos". As a result, many brands partnered up to create their polishes inspired by their own preferred pairs. 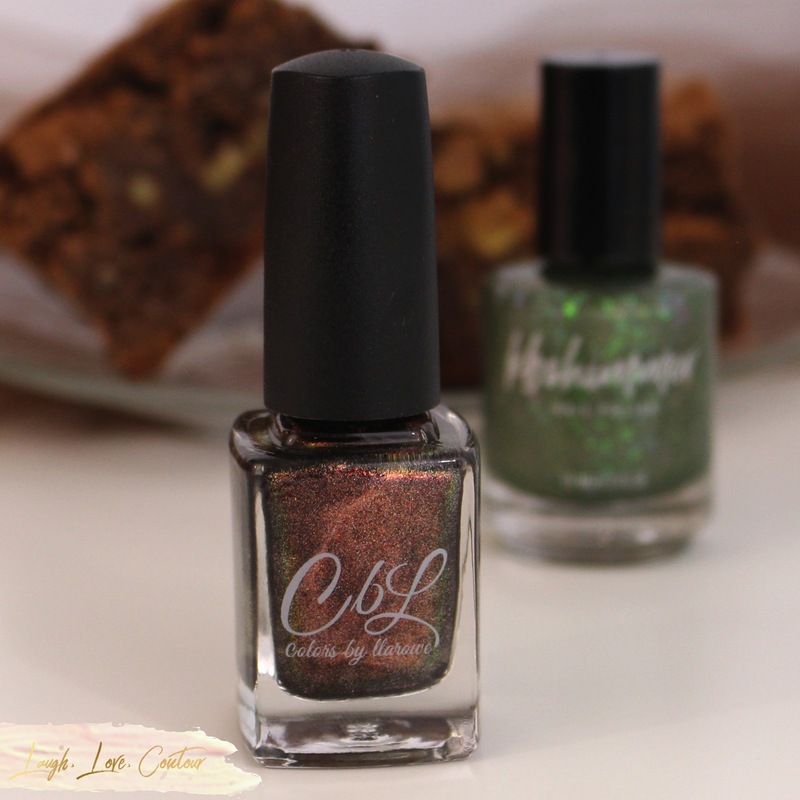 For today's blog post, I have the pairing created by KBShimmer and Colors by Llarowe. Some famous duos are iconic and need no explanation: peanut butter and jelly, Sonny and Cher, Bonnie and Clyde, and yet there are some pairs that blow our minds. This can be said for the pairing that inspired these indie brands: Martha Stewart and Snoop Dogg. While their friendship may seem outlandish and strange, there is certainly a special, albeit unlikely bond, between these two celebrities, and I for one am delighted to see this unusual friendship gain some attention in the Polish Pickup. I have both shades from the pairing to share with you, and I have them presented here in the order that makes the most sense- by name. Let's check them out! How About A Brownie Dogg? 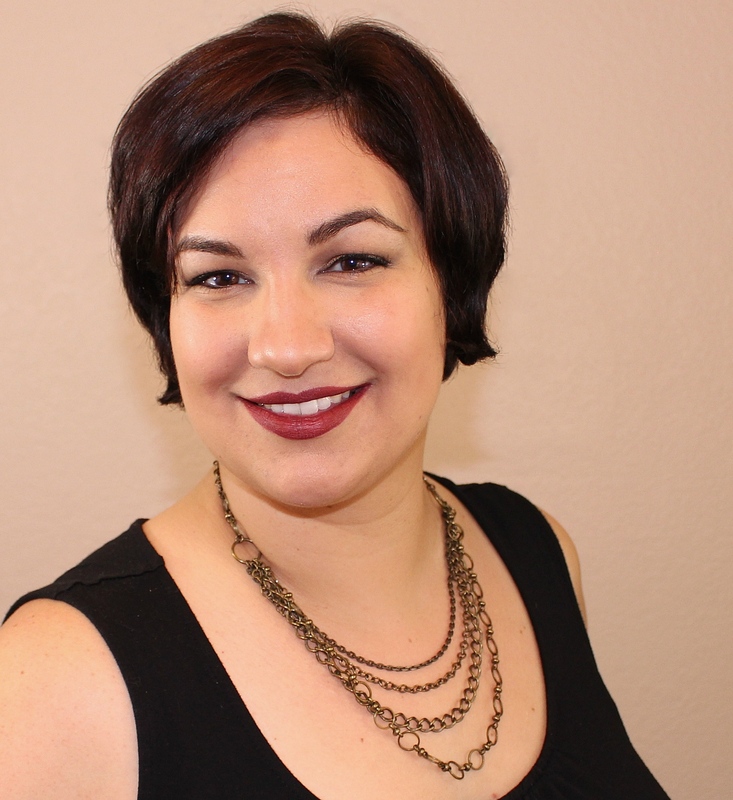 Leah Ann from Colors by Llarowe pulled her half from Martha Stewart. How About A Brownie Dogg? 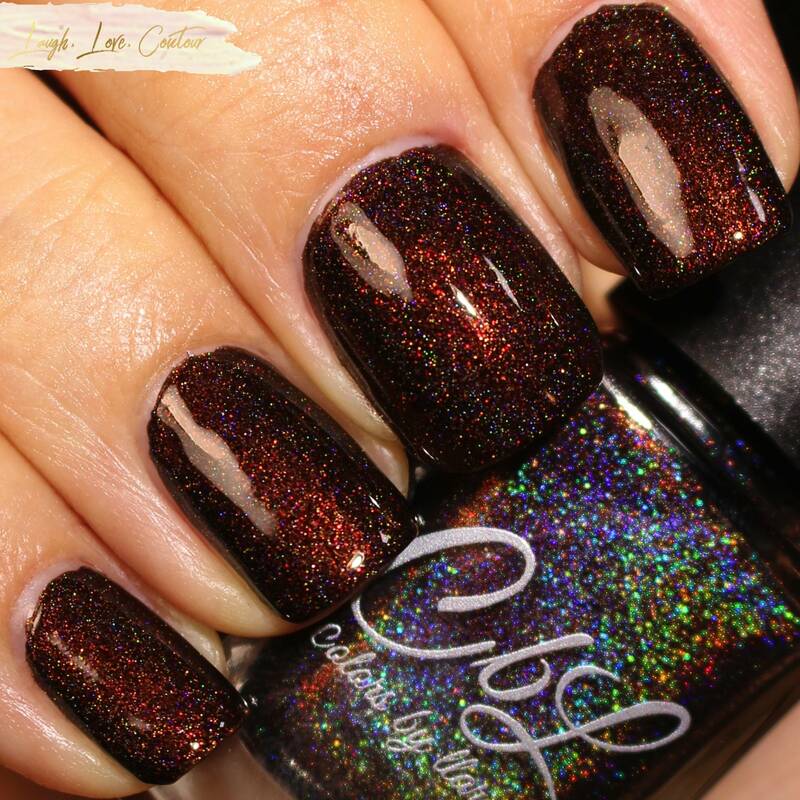 is a rich chocolate-brown linear holographic polish containing both the original "unicorn Pee" and Aurora colour-shifting pigments of red to green to gold. 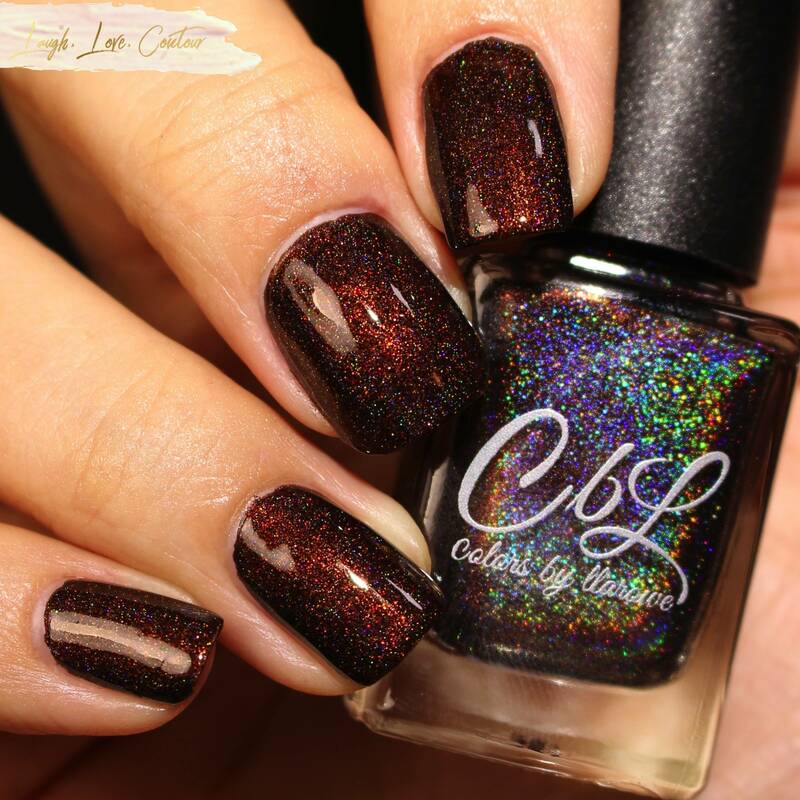 Richly pigmented, I was blown away by having full coverage of my nails with just a single coat of this polish. I couldn't detect any visible nail line even with my bright light setup so I just ran with the one coat and topped my nails off with top coat for these photos. I have no issues to report with this polish. While the consistency is thicker than mainstream polishes, it was certainly not too thick for my liking and applied like a dream. 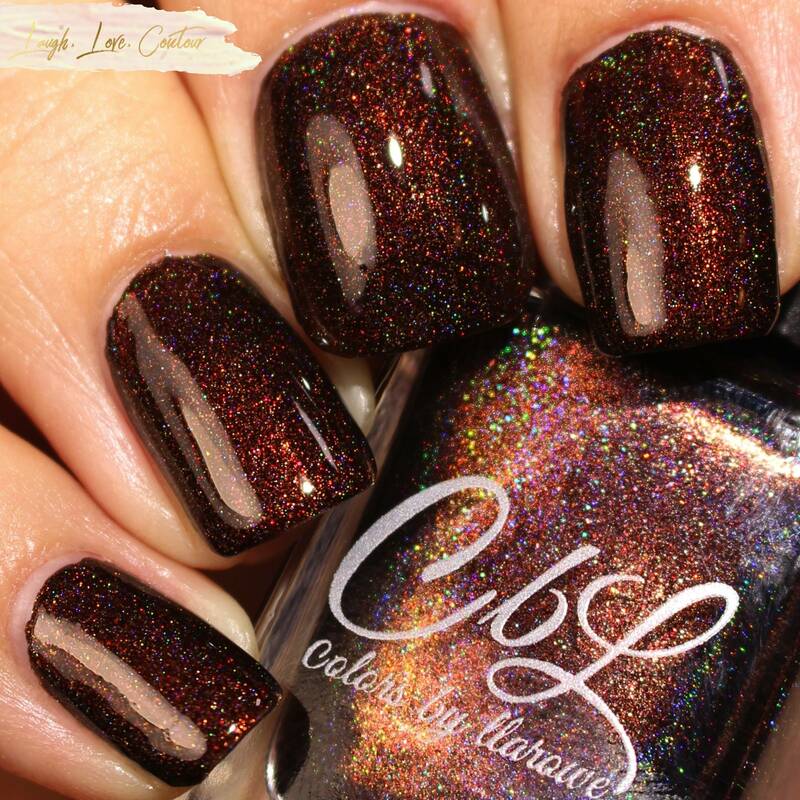 The only thing that could possibly make this polish better is if it were brownie scented like its other half, but then that might start up one heck of a nail biting trend in the polish community. 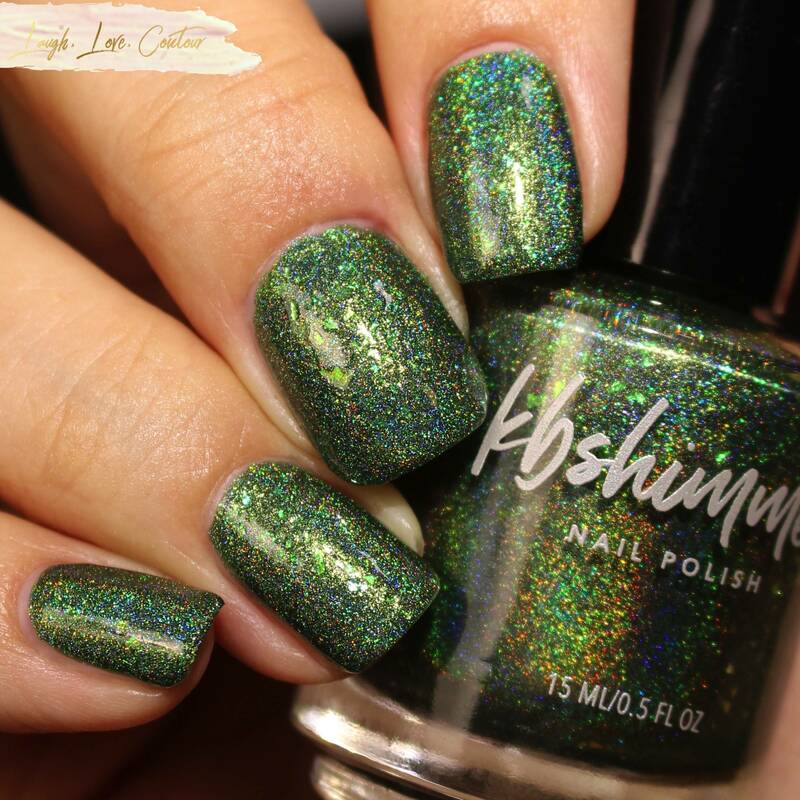 Christy of KBShimmer took on the Snoop Dogg half of the famous duo with Fo Shizzle. 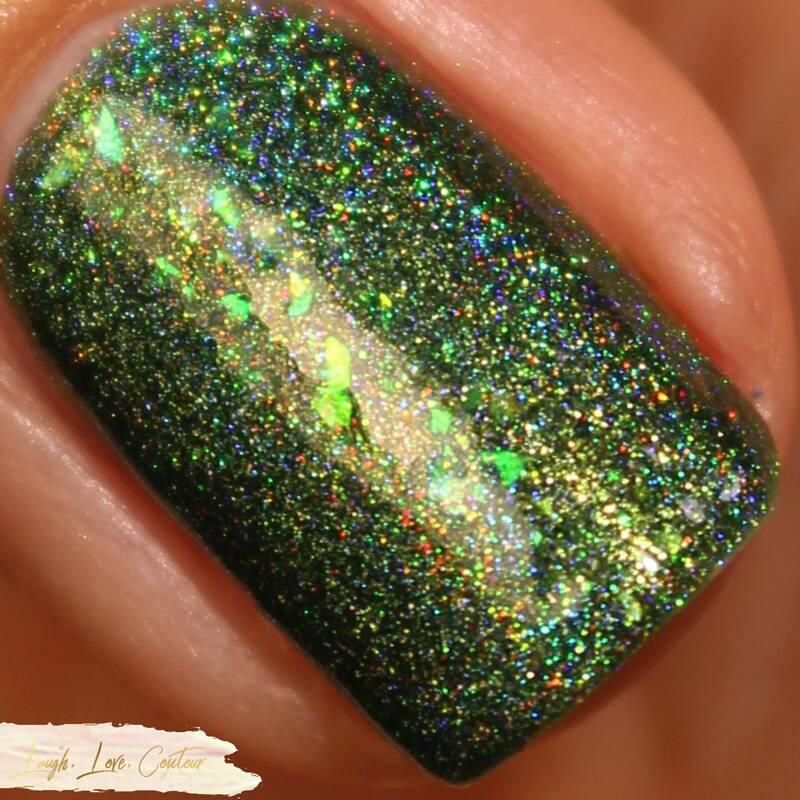 Fo Shizzle starts off with a rich bud green holographic base shade and contains green unicorn flakes. To really complete the pot inspiration, Fo Shizzle gives off an earthy cannabis scent mixed with patchouli and cloves when it is dry. Because I have a very sensitive nose, I'm very hit or miss when it comes to scented polish. While Fo Shizzle does give off a fragrance, I didn't find it to be overwhelming or overpowering. I have no issues to report with the formula of this beauty. I had no trouble with some of the antics occasionally seen with flake polishes, and at most you might have to either push a flake fully onto your nail should it overhand from the free edge. The polish has a nice pigmentation, and I used two coats for opacity along with one coat of top coat for these photos. 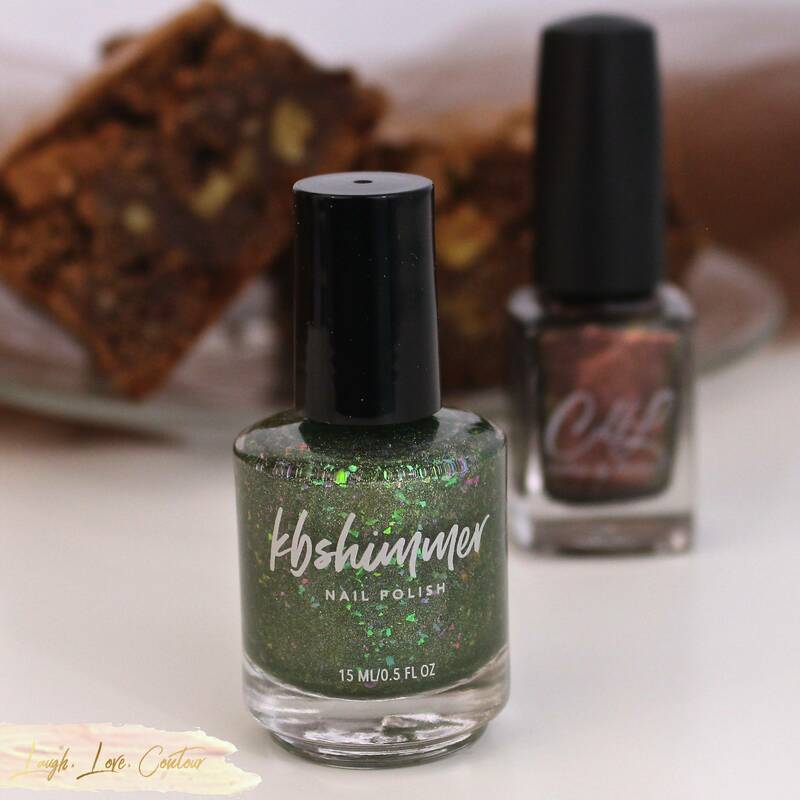 Whether you share in Snoop's love of the chronic or just want to get some green on your nails as a break away from all the snow, this is sure to be a hit. 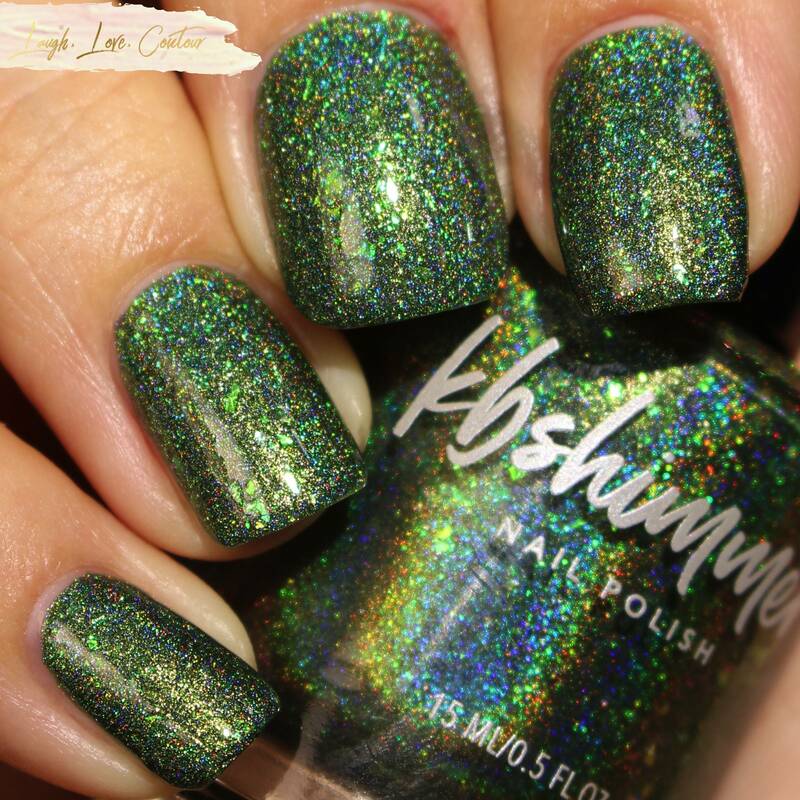 The February Polish Pickup opening is this Friday, February 1st through Monday, February 4th. These polishes can only be purchased exclusively from Polish Pickup and only during the four day window. All orders placed are as a preorder; please allow three weeks for shipping. 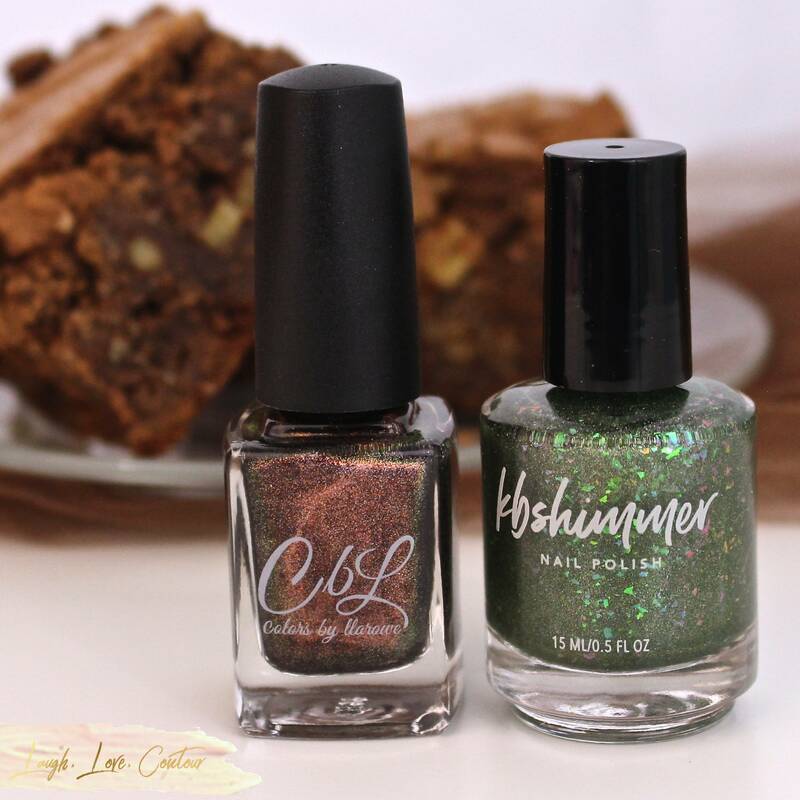 While this upcoming Polish Pickup was inspired by pairings, the polishes can be purchased separately. That said, I don't know how you wouldn't want to have both of these in your collection! I love both of these shades, especially the KB Shimmer. 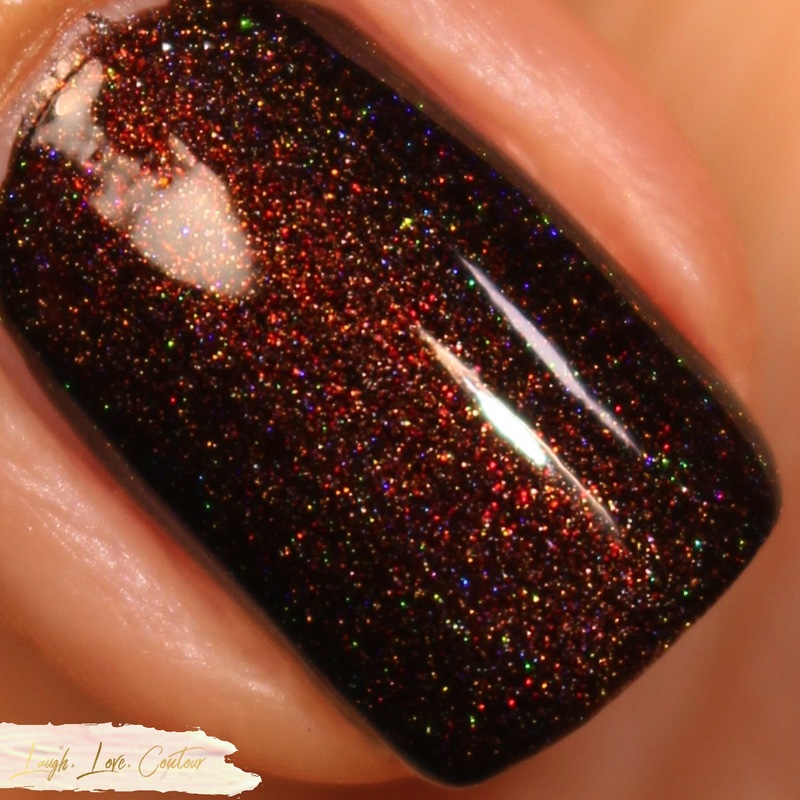 I have never ordered from Polish Pickup before but I am going to create an account right now! That KB Shimmer is magical! Rawr! This is hilarious. I'm sad that CbL is going to be closing shop but I think I saw she said she's going to keep on with PPU! Is the smell very...pot-like? Or is it just earthy? I love the famous duo idea behind these two!!! The brownie one is STUNNING! I never think of browns but that one is a big YES for me! The CbL is fantastic. I almost never wear a color like that but I love them. I love How About A Brownie Dogg? and how the name came about is even better! Adding this to my need list! 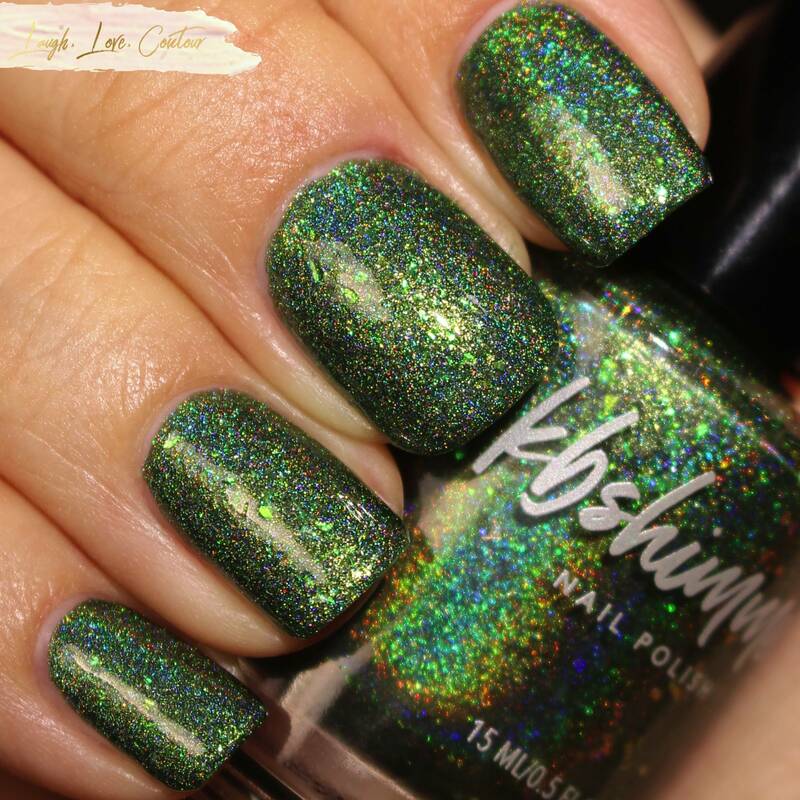 That KB Shimmer is Gorgeous!